As most of you know that I have cut back a bit on cakes due to some unforeseen issues. 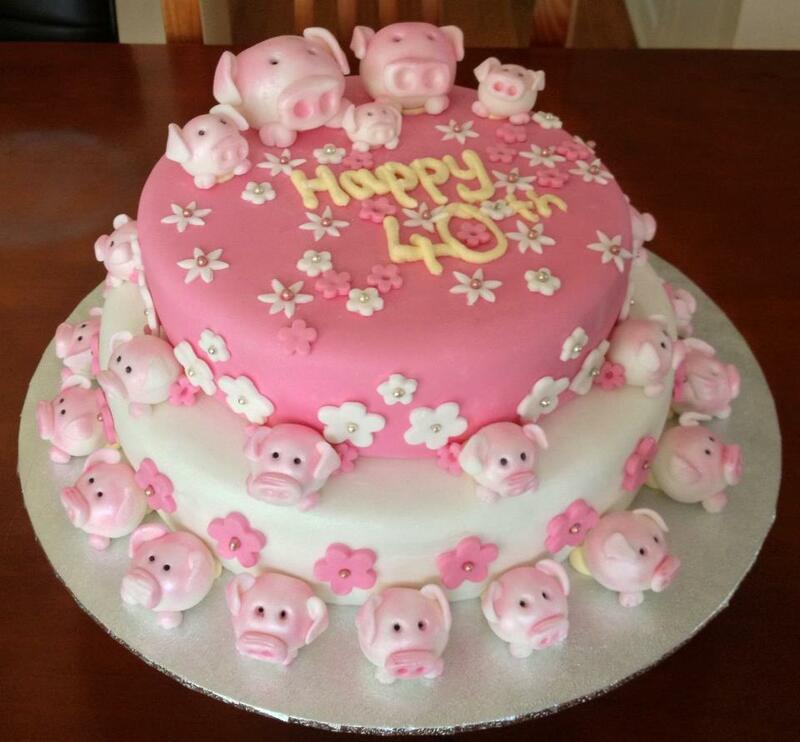 However I had an SOS call from a friend who needed a piggy cake for his wife’s 40th birthday. I did have an idea of making a big pig rolling in mud. However when thinking about it I decided that maybe the wife didn’t want to be cutting into a pig for her birthday, especially as her husband said I think she loves pigs – definitely didn’t want to offend! So I decided to make lots of little piggies. 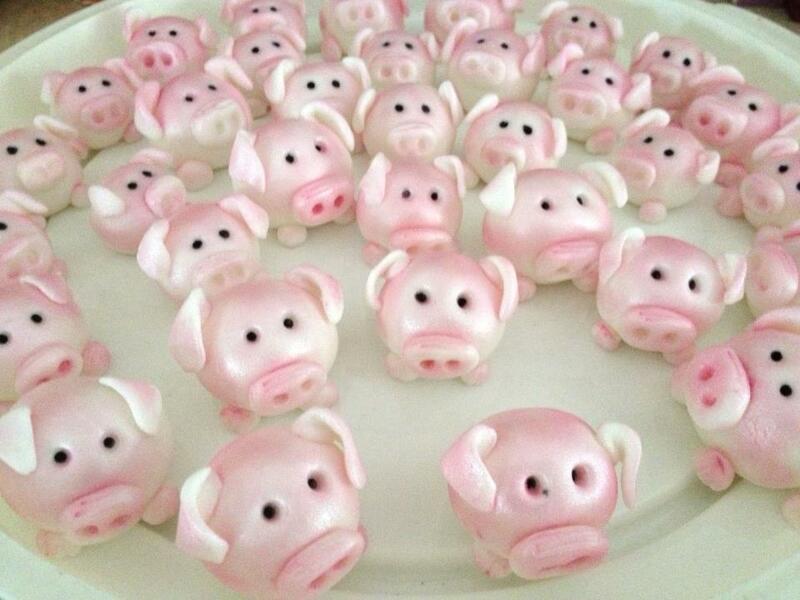 All piggies are made with fondant. Never making pigs before it was a challenge to get them right, especially as they are all quite small. I then placed them all around the cake, with some flowers. Unfortunately the writing didn’t quite go right as the bag exploded on top of the cake. So the top-tier doesn’t look like the original idea as I had to change a few things. It came out ok, but not as good as the original plan. Next cake is a week on Saturday where I have to make a beautiful pink and girly castle cake for a 1 yr old princess.